Consumers consult online Dealership reviews more than ever before to decide where to buy or service their vehicles. With dozens of review sites scattered across the web, it can be very complicated and time consuming to look at the myriad of review sites to get a true picture of what consumers are really saying about a business. Consumer Perception Rating® (CPR® Score) does the hard work by researching reviews across the web and compiling a single score or Consumer Perception Rating® (CPR® Score) for each Dealership. A Dealer's (CPR® Score) gives more weight to reviews left on sites that are more relevant and less weight to reviews left on less influential sites. How do I verify a dealers CPR® Score? On Consumer Perception Rating.org: The Dealer's CPR® Score is displayed on the Dealer's verification page. On a partner website: Click on the CPR® Score badge and you will be taken to a verification webpage at ConsumerPerceptionRating.org which will show the Dealer's current CPR® Score. This score should always match the score displayed on our partner's website. 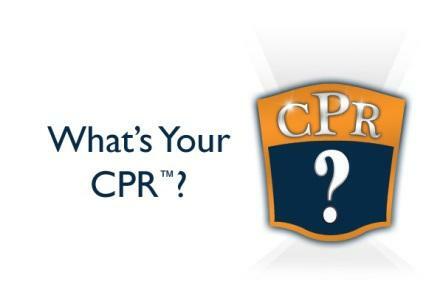 On a Dealer's website: Click on the CPR® Score badge and you will be taken to a verification webpage at ConsumerPerceptionRating.org which will show the Dealer's current CPR® Score. This score should always match the score displayed on the Dealer's website. In any print media: Currently ConsumerPerceptionRating.org does not permit the CPR® badge or CPR® Score to be displayed in any print media. How is the CPR® Score calculated? A Consumer Perception Rating® (CPR® Score) is a single unbiased score which translates review ratings from key influential review sites on the basis of how consumers as a whole perceive the reputation of an Automotive Dealership. CPR® Scores are calculated based on the Universal Rating Standard® (URS®) algorithm. The URS® algorithm may be modified to provide CPR® Scores that reflect the unique characteristics of consumers in a given industry or market niche, or other unique factors specific to said industry or market niche. How do can I place my CPR® Score on my website? All dealers who register with ConsumerPerceptionRating.org will have access to a CPR® Score widget. The widget is provided free of charge and will display a dealer's current CPR Score.